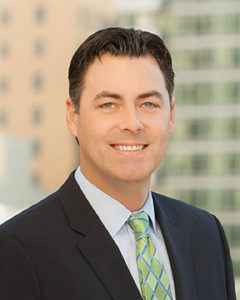 Matt Noonan was born and raised in the San Diego area, and graduated from the University of California at Los Angles in 2000 with a degree in Sociology. Upon his graduation, Matt spent five years in the financial services industry where he managed a branch for a national bank before moving over to a San Diego commercial insurance agency. Matt joined Cavignac & Associates in 2007 as an Account Executive. He is a graduate of the National Alliance for Insurance Education & Research Producer School, and has earned his Certified Insurance Counselor (CIC) and Registered Health Underwriter (RHU) designations. Matt specializes in the creation, implementation, and execution of Employee Benefits Programs for Southern California based businesses. Matt is an active member in the San Diego Association of Health Underwriters (SDAHU), the California Professional Association of Specialty Contractors (CALPASC), Bruin Professionals, and the Surfrider Foundation. Matt and his family reside in San Marcos. During his time at UCLA, Matt was part of the UCLA Bruin Men’s Volleyball team, and helped lead the team to three NCAA National Championship titles. He remains an avid sports fan. In his free time, he enjoys volleyball, golfing, traveling and spending time with his family.